With cancer related deaths projected to rise to 10.3 million people by 2020, the need to prevent, diagnose, and cure cancer is greater than ever. These two volumes present readers with the most up-to-date imaging instrumentation, general and diagnostic applications for various cancers. 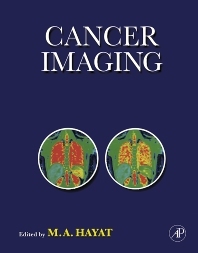 Both volumes discuss the various imaging techniques used to locate and diagnose tumors, including ultrasound, X-ray, color Doppler sonography, PET, CT, PET/CT, MRI, SPECT, diffusion tensor imaging, dynamic infrared imaging, and magnetic resonance spectroscopy. They also detail strategies for imaging cancer, emphasizing the importance of the use of this technology for clinical diagnosis. Imaging techniques that predict the malignant potential of cancers, response to chemotherapy and other treatments, recurrence, and prognosis are also detailed. Both volumes [Volume 1: 978-0-12-370468-9 and Volume 2: 978-0-12-374183-7] are sold separately for $189 each. Medical, hospital, and 4-year university libraries; medical students, residents, physicians, pathologists and molecular pathologists conducting academic and clinical research; cell and cancer biologists, immunologists, bioinformaticists, and reproductive endocrinologists. Dr. Hayat has published extensively in the fields of microscopy, cytology, immunohistochemistry, immunocytochemistry, and antigen retrieval methods. 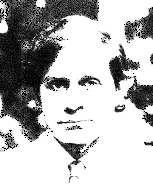 He is Distinguished Professor, Department of Biological Sciences, Kean University, Union, New Jersey, USA.